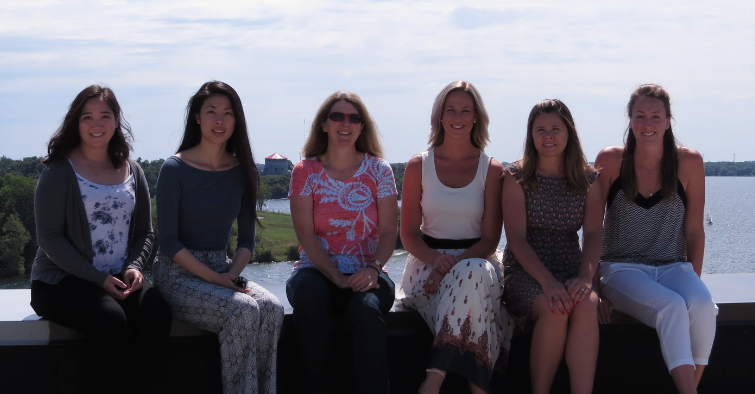 Our lab specializes in applying phytotechnologies to remediate contaminated sites. Phytotechnologies refer to the use of plants and plant-based mechanisms to solve environmental problems. Using vascular plants, contaminants found in soil and water can be extracted, degraded, immobilized, and/or volatized. 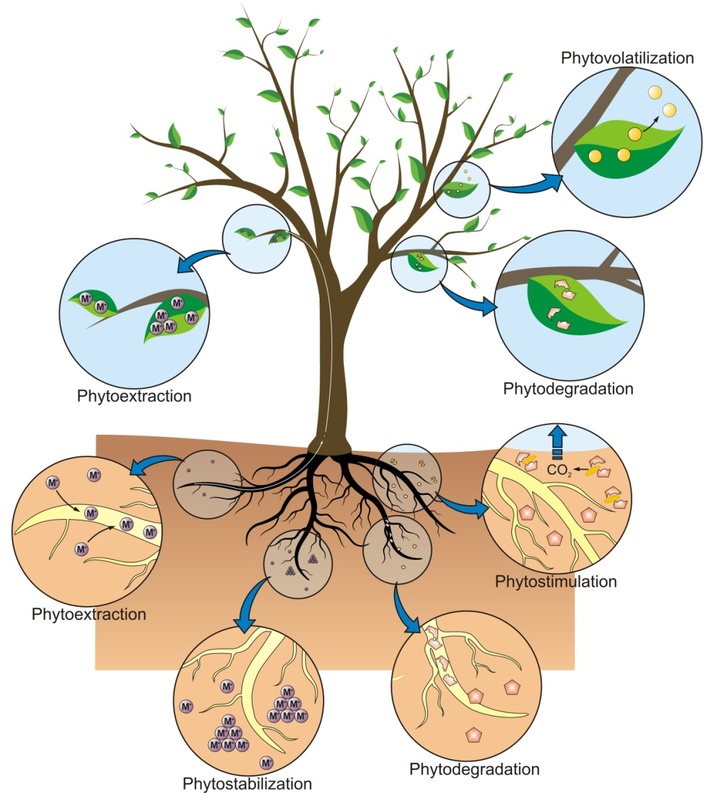 In contrast to other remediation methods, the mechanisms of plants preserve the existing ecosystem, while also enhancing the activity of microorganisms in the soil. Phytotechnologies is a multidisciplinary area of research that is constantly evolving as we learn more about the complex interactions that occur between plants and their environments. The removal of banned chemicals from soil such as DDT (which was once widely used as an insecticide), as well as industrial chemicals like PCBs (polychlorinated biphenols), are an ongoing environmental challenge. Similarly, polycylic aromatic hydrocarbons (PAHs), associated with crude oil, are ubiquitous in the environment and partition to soil, sediment, and lipids, making their removal from contaminated sites particularly difficult. Toxicity threats are also posed by mining and industrial wastes that deposit heavy metals, threatening wildlife and aquatic systems. Even salt, a seemingly harmless substance, is causing the degradation of soils worldwide. Currently, our lab is working to combat all of these environmental contaminants using the low cost, low maintenance, non-invasive, in situ application of phytotechnologies. In addition to using plant-based mechanisms to remediate contaminated sites, our lab is a leader in the research and application of biochar, a carbon amendment made from the pyrolysis of organic material at high temperatures and under low oxygen conditions. Biochar has been shown to improve the physical, chemical, and microbial components of soil. The high porosity of biochar translates to a high surface area for ions to bind, and as biochar ages, pore surfaces become oxidized, creating negatively charged sites to bind ions. The binding sites on biochar are relevant for the stabilization of contaminants in soil as well as the reduction of nutrient leaching in agricultural soils. Futhermore, biochar has been shown to enhance soil microbial activity. The exact effects of the application of biochar to soils must still be determined experimentally. Check out Dr. Zeeb speaking at this year’s Impact Innovation about the amazing potential of plants for hydrocarbon remediation! Dr. Zeeb’s talk starts at 20:00 and her question session begins at 1:06:00.